Loma Linda University Medical Center (LLUMC) – Murrieta is pleased to introduce its new OB Hospitalist program to the Southwest Riverside region, offering 24/7 board-certified OB/GYN physicians for more robust patient care. 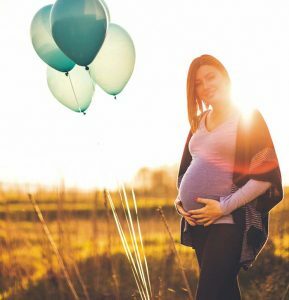 The OB Hospitalist program provides expectant mothers with immediate access to emergency and surgical assistance by an in-house physician regardless of time, location, or circumstance. OB Hospitalists serve as dedicated physicians for patients solely coming to a hospital. They are the first to evaluate and provide tailored care to patients, including delivery, emergency care or surgery. In years past, the standard process across healthcare institutions was for a certified OB/GYN nurse to evaluate a patient upon arrival, said Jennifer Ross, RN, manager of perinatal services at LLUMC – Murrieta. “Now, we have an in-house physician available to make the first connection and work alongside local community physicians.” Ross collaborated with community physicians, along with Murrieta’s leadership team earlier this year to bring the highly anticipated program to the region. For more information or to reserve a maternity tour, visit murrieta.lomalindahealth.org. Next article Rady Children’s NICU at Rancho Springs Medical Center in Murrieta wins Top Award!